I have a webpage(home.aspx) that requires Windows Authentication. If the browser automatically sends in valid credentials, then home.aspx is displayed. Otherwise, login.aspx is displayed. In IE, I have checked off the "Prompt for User name and Password" checkbox in Internet Options > Local Intranet > Custom level > User Authentication. I have following the steps in http://www.codeproject.com/Articles/11202/Redirecting-to-custom-page-when-quot-Access-de , and it works fine on my local development server. However, on the production server, it is a different story. In IIS, Home.aspx has anonymous authentication disabled, and windows authentication enabled. Login.aspx has anonymous authentication enabled and windows authentication disabled. 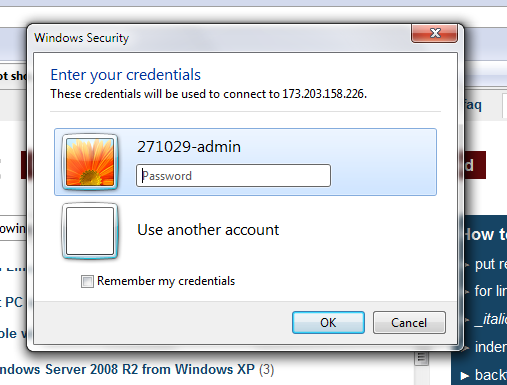 In the development server, on a computer that is logged in using correct credentials, home.aspx shows up. And, when the browser does not send in the credentials, Application_EndRequest is hit with a 401 status code, then the default Windows Authentication Prompt shows . After cancelling this dialog, login.aspx is shown. This is the correct behavior. However, in production server, on a computer that is logged in using correct credentials, home.aspx shows up. And, when the browser does not send in the credentials, Application_EndRequest is hit with a 401 status code, then the default Windows Authentication Prompt shows. After cancelling this dialog, the default 401 page shows. Does anyone what is going on the production server, and why I am not able to intercept the 401 status code and redirect to a custom web page. In IIS 7, they added an attribute in web.config that controls the behavior of custom errors. By default, custom and detailed errors are only shown on the local browser. To show your custom errors, you need to change this in the web.config <httpErrors> element, errorMode attribute. DetailedLocalOnly is the default; other possible values are Detailed and Custom. For more reading, here is the Microsoft article that talks about this configuration. Aside: The article you linked is more than 10 years old, and is therefore quite suspect for "modern" development. One of the comments on the article, posted about 5 years later, points to this same problem and solution. Not the answer you're looking for? Browse other questions tagged asp.net authentication iis or ask your own question.